Once a while, a project comes along and fills us up to the top with excitement. This project did just that and we are thrilled to finally share it with you. Introducing, T.H.A.O. Tea Company, a new brand of tea for a new generation of tea lovers. 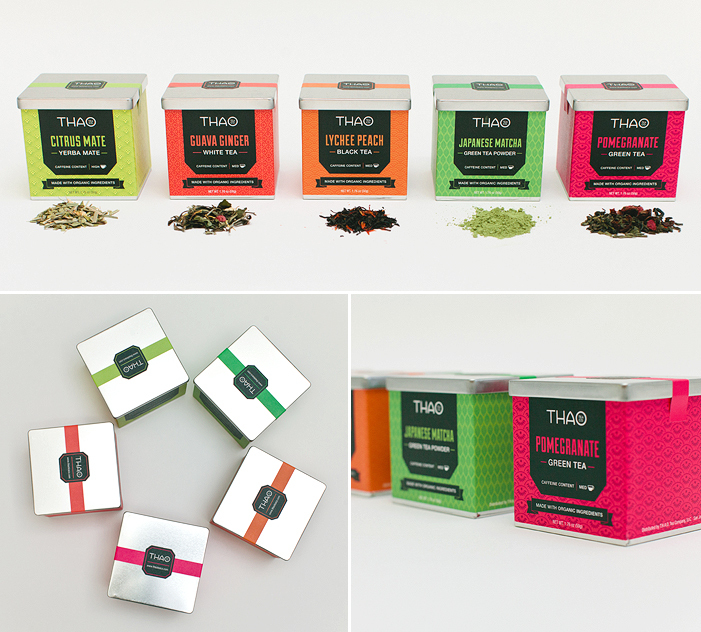 THAO, which stands for taste, healing, aroma, and organic, provides premium loose-leaf teas. The company cares about quality and flavor just as much as they care about the health benefits derived from drinking teas that are made from organic and natural ingredients. Earlier in the year, the client came to us when the brand was just in its infancy. The owner felt that many tea brands on the market don’t appeal to younger generations because tea drinking isn’t seen as hip or cool. She wanted to get young people excited about drinking tea and she knew that proper branding would play a vital role in this. We were excited to take on this challenge and immediately went to work on building the brand. We started by doing research, which included visiting local teahouses, flipping through books and magazines, and scouring the Internet for inspiration. 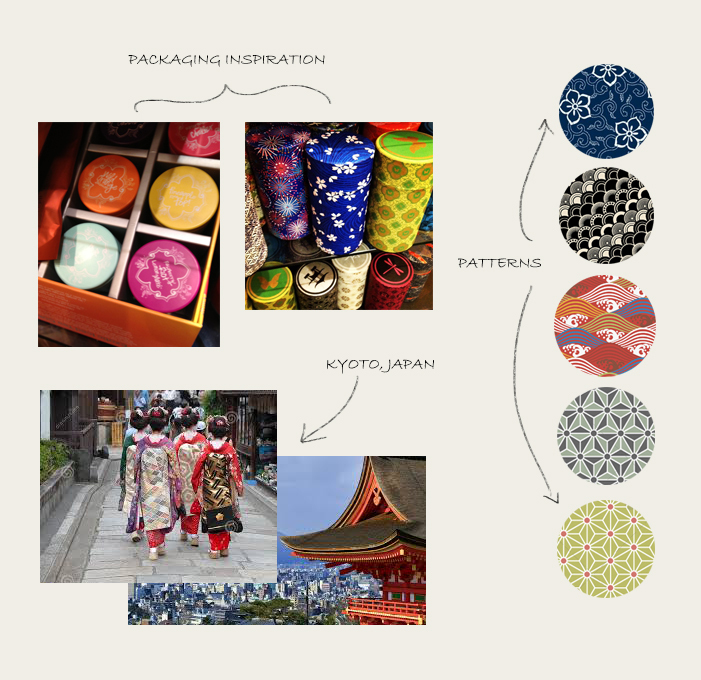 Since the brand was inspired by the owner’s visit to Kyoto, we researched the culture and looked at photos, patterns, and artwork from this ancient city. Next, came sketches and renderings and when a few logo designs emerged as solid contenders, we presented them to the client. The winning logo design is simple and understated, yet distinctive. Once the logo was chosen, we started working on the packaging design. The design of the package is the first thing that consumers notice and are drawn to so we knew not to take this task lightly. We experimented with many concepts and prototypes before coming up with the design that we knew was the one. 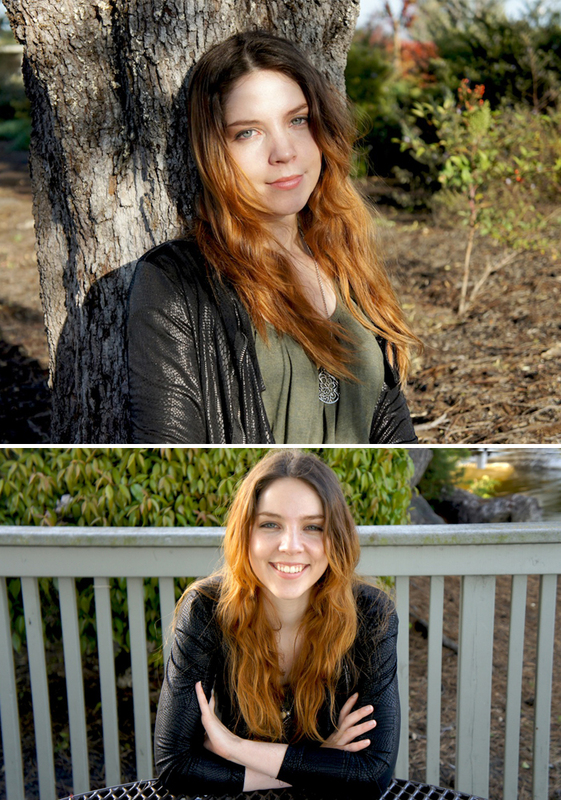 The final design is modern and a bit edgy with bright, vivid colors contrasted with black. Each tea type would have its own color and a pattern to match the “personality” of the tea. We wanted these tins to be more than just containers for the teas – we hope that people will see them as pieces of art for their pantry shelves. The final piece was the E-commerce website which would be the launching pad for the brand. The website was to be appealing, user-friendly, work on mobile devices, and most importantly, look and feel like an extension of the brand. We started with a lifestyle and product photography session to capture the beauty of the loose-leaf teas, ingredients, and packaging. 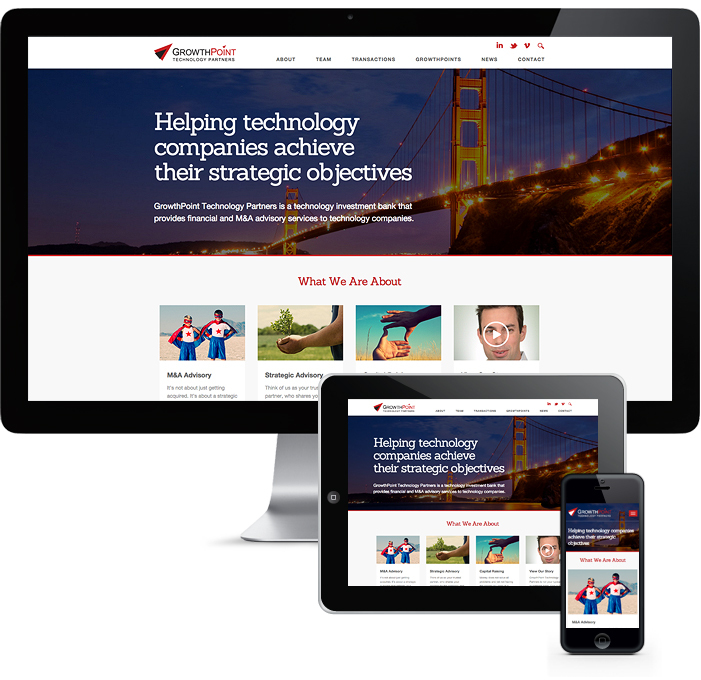 We then designed the website page by page and developed it to run on a content management system. 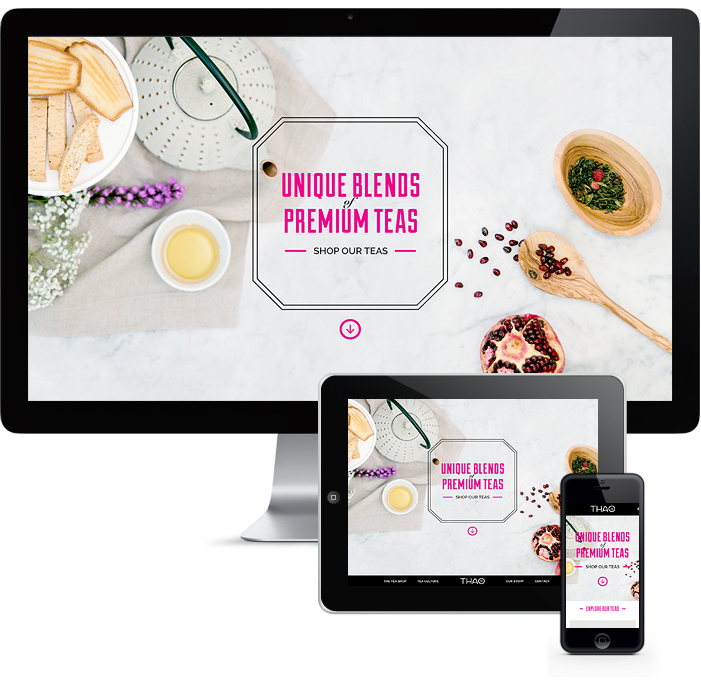 THAO Tea officially launched their website in September, just in time for tea-drinking weather. The brand is generating a lot of buzz and the online store has already received many orders! 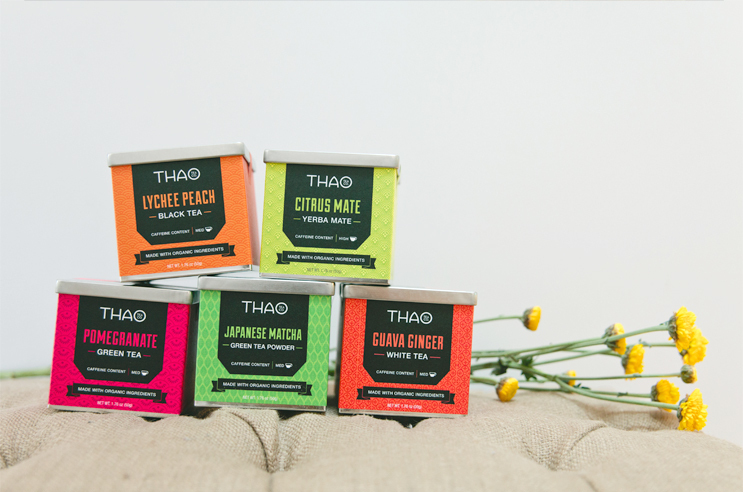 We are happy and proud to be a part of this passionate brand and we hope that THAO Tea is on their way to changing the world one cup of tea at a time. Visit the website and let us know what you think! There are many definitions of a brand. Branding is such an abstract notion that many definitions could be used and they would all make perfect sense. As a matter of fact, an SVA Masters in Branding student gathered 100 definitions of branding from folks in the industry and published them all here. If you read through all 100 definitions, you’ll see that there are many brilliant ways to define branding. So what is the true definition of a brand and can it be defined in simple terms? We’re not completely sure but what we do know is, at its core, a brand is nothing more than a promise. This promise is different from the official “brand promise” that’s concocted inside boardrooms by marketing executives and brand consultants. The promise I’m referring to is the unspoken promise that customers can perceive each time they visit a store, pick up a product from the shelf, visit a website, or speak to a service rep. These days, customers are savvy and extremely perceptible when interacting with brands. They know when a brand is authentic and they can easily spot those that are phony or weak. In the previous blog post, A Brand Is Not, we used Apple as an example to discuss brand misconceptions. So what is the Apple brand? It’s their promise to deliver groundbreaking products that are unbelievably simple to use. This promise of simplicity is conveyed throughout their touchpoints. It starts with the logo, which is nothing more than a simple icon. Without any use of color or even text, the logo is the first indication of Apple’s promise for simplicity. When you step into an Apple store, you see a stark white, large room with high ceilings. The products are displayed like pieces of art in a gallery. Customers immediately get a sense of expansiveness and are put at ease by the open space. The entire experience is easy as the sales reps in blue shirts show the products and ring up customers all in the same spot. There’s no line and no checkout counter. Once you purchase an Apple product, it’s just minutes between the time you turn it on and before you can use it. This is a good example of a company with a clear and consistent brand language centered on a single promise. Ultimately, a brand is not what the company says it is; it’s what the consumers say it is. The best thing a company can do is to figure out what it is that they are promising to customers and to communicate and uphold that promise at all times. Then, it’s up to the consumers to decide (subconsciously) how they perceive the brand. When a brand, or promise, comes from an authentic place that resonates with consumers, that’s when they are drawn to it. When the promise is communicated at every touchpoint and is kept time after time, it is a winning formula for customer loyalty and longevity. 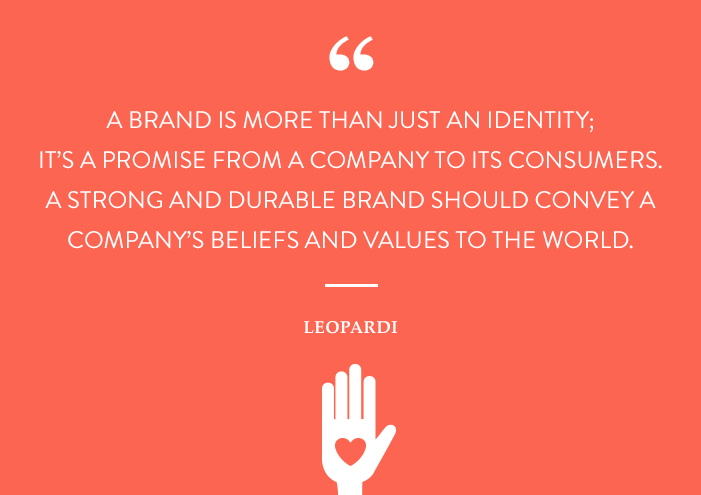 What is your definition of a brand? Let us know! It seems like everywhere you go, people are talking about brands and the concept of branding. Most companies have come to realize the importance of branding and there’s more and more interest in how to build better brands. Yet, there’s still some confusion about what a brand really is. To clear things up, I’m dedicating a series of blog posts to talk about the meaning of a brand – what it is, what it is not, and why it matters to everyone. Let’s start with what a brand is NOT. It’s always good to begin by ruling out the misconceptions to create more space for better understanding. 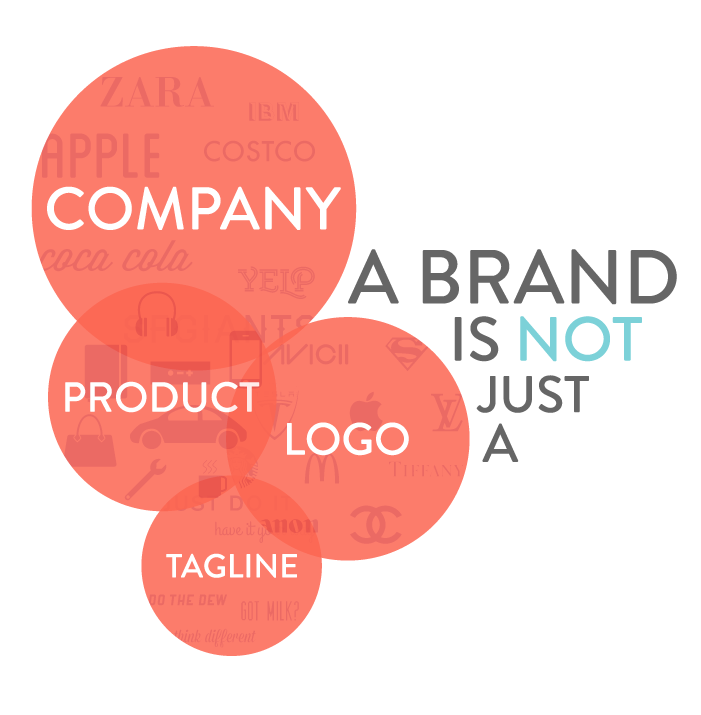 A brand is not the following things: a company, a product, a tagline – not even a logo. To expand on this, let’s think about one of the most well known brands of our time, Apple. Apple Inc. (formerly Apple Computers) is a company that is headquartered in Cupertino and has 80,000 or so employees. That’s the company, but is that their brand? When you think of the Apple brand, do you think of their many buildings with thousands of employees working inside? Probably not. The next misconception is that a brand is a product. Yes, iPhones, iPads and Mac computers are a huge part of what makes Apple what they are. However, it’s most likely that consumers don’t buy these products for the features and functions that they offer. There’s a much bigger reason why they spend their hard-earned money on these products and return year after year. One of Apple’s most famous tagline was “Think Different”. This comes closer to what a brand is because it expresses an idea. Consumers who identify with this idea want to purchase Apple products to express their own personality traits and values. However, the tagline by itself is not the brand. Last but not least, a brand is not a logo. This misconception is the one that designers like us are most familiar with. It’s a common misconception because of how much people are exposed to logos. We see them at every touch point throughout our experiences with brands. We see logos on packaging, websites, brochures, signage, and much much more. As important as they are for visually conveying the essence of a brand, a logo is a symbol of the brand, not the brand itself. Before I start working with a client, I ask many questions to get to know them and their business. This discovery process is what allows me to create designs that are unique and meaningful. There’s always one question that really gets them thinking – that question is WHY? Everyone knows WHAT they do and by the time clients come to me, they have a pretty good idea of HOW they plan to do it. But very few of them have asked themselves WHY they do it. The answer to this question shouldn’t be something like “to make money” or “to become successful.” The answer to this question calls for a deeper look into why your business exists. Why do you get out of your warm bed in the morning to sit in an office for 8+ hours. Why do you check emails and read articles until you fall asleep at night? 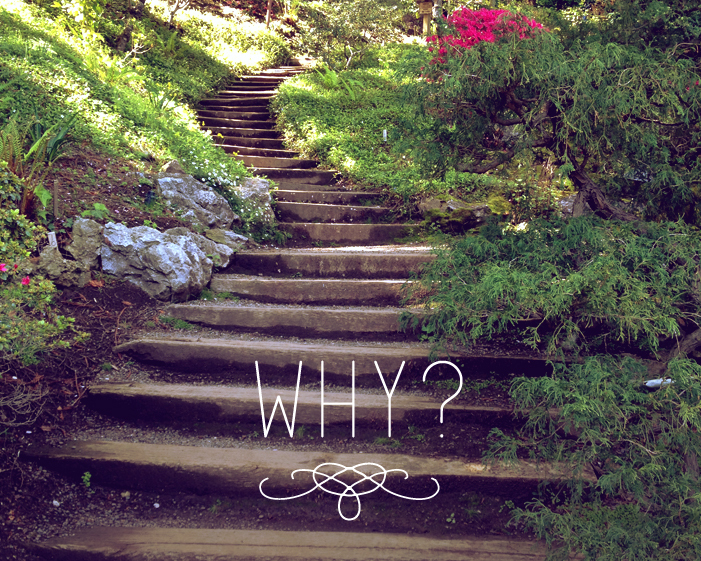 Why does your business exist? Is it to help a cause that means a lot to you? Is it to provide something that you were missing as a mom, dad, student, patient, or consumer? Is it your calling because you have a special talent or skill that needs to be shared with the world? When you answer this question, you are speaking from your heart and not your mind. And when you send that message out to your target audience, you will attract those who believe what you believe. They want to be a part of what you’re selling. These are the best customers and are the ones that will keep coming back. I always know when I’m about to hear the true answer to a client’s WHY when I see a tiny spark in their eyes as they begin to tell me the story of how their business began. When this happens, I’m reminded of why I get up every morning to do what I do.